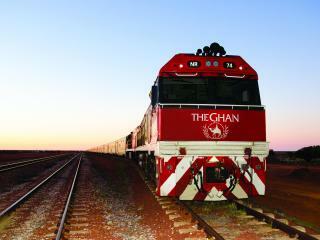 A living legend in Australian history, The Ghan offers the ultimate rail journey across the continent. 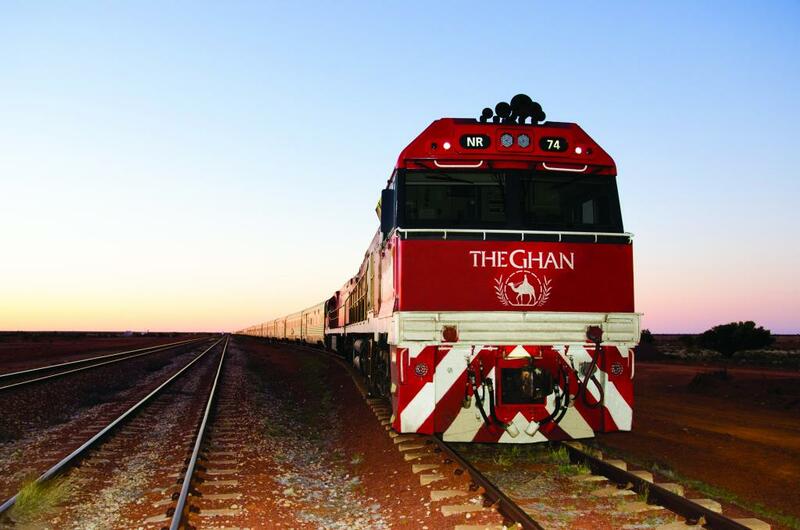 Travelling through the heart of Australia, The Ghan follows the route taken 150 years ago by early Afghanistan camel importers and features the emblem of a camel being ridden by an Afghan, a testament to the harsh conditions these pioneers faced. 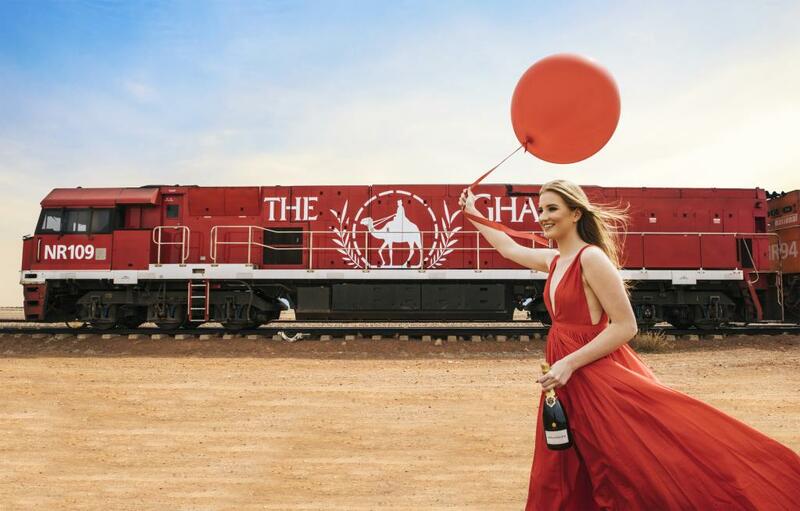 Thankfully these days you can enjoy the spectacular scenery of the same trip while enjoying all the creature comforts aboard The Ghan. 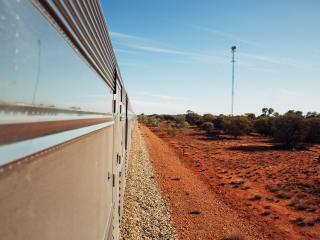 Departing Adelaide, the train makes its way through Alice Springs to Darwin, showcasing one of the world's most diverse and fascinating terrains. 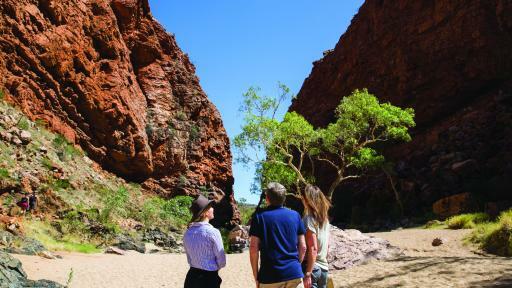 Along the way you'll see spinifex plains, salt pans, amazing outback colour changes, the MacDonnell Ranges and the Top End. 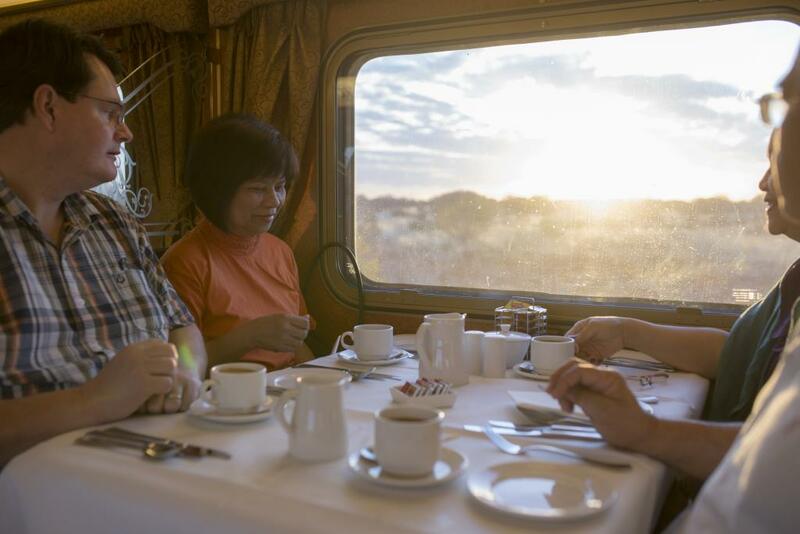 Not far from Alice Springs in the Red Centre, you can also visit natural wonders like Palm Valley, Ayers Rock (Uluru), The Olgas (Kata Tjuta) and Kings Canyon. 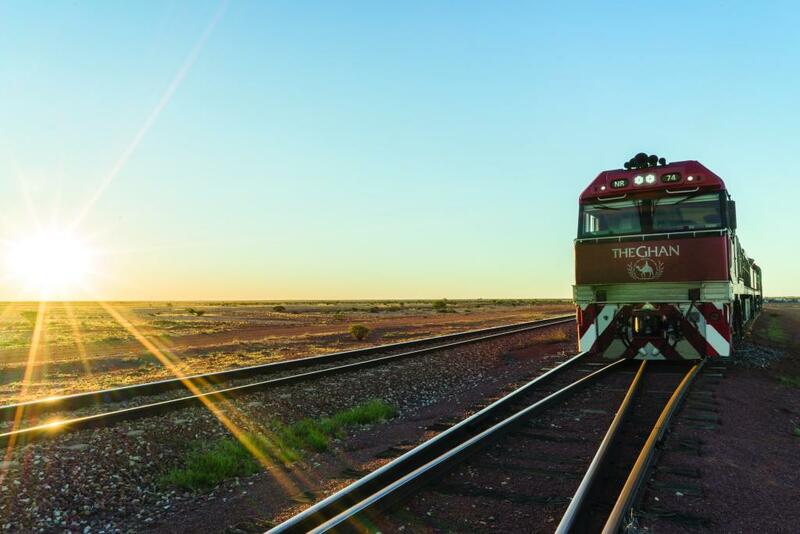 Since its extension to Darwin, The Ghan has enhanced the transcontinental experience of one of the world's greatest train journeys. 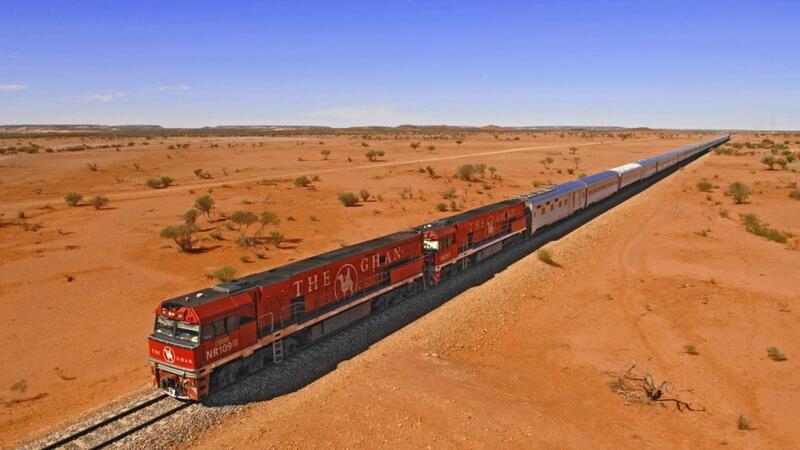 Covering 2979km in 47 hours, this amazing journey can be further complimented by additional touring options in Katherine Gorge and Alice Springs at an extra cost. 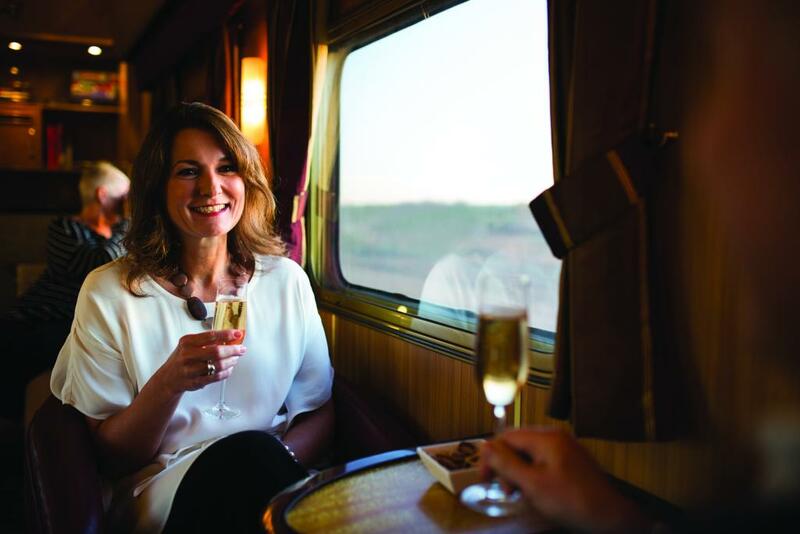 GOLD SERVICE: The ultimate in style and comfort, choose from single or twin Sleeper Cabins which include complimentary toiletries and bath towels. Gold Service fares are all inclusive of meals and guests enjoy dining in elegance in the Restaurant Car or relaxing and socialising in the Lounge. Twin & Single Cabins (with bathroom) feature a 3 seat lounge which transforms into upper and lower sleeping berths as well as a compact private ensuite with wash basin, toilet and shower. 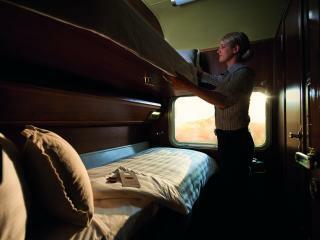 Each cabins is fully serviced with fresh pillows, sheets and doonas. 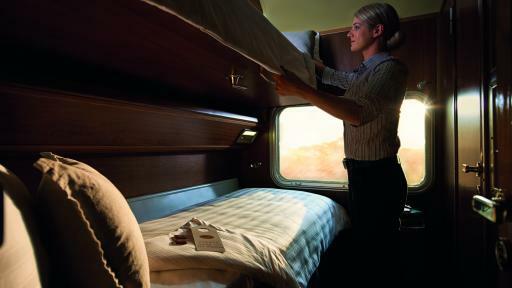 Cabins also feature small foldaway tables, reading lamps, 3 pin 240 volt power points, wardrobes and a full length mirror. Single Cabins (share bathroom) enjoy similar features to the Twin Cabins including a wash basin however toilets and showers are situated at the end of the carriages. 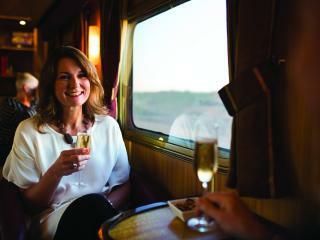 Complimentary welcome kits, bath towels and toiletries bags are provided to all Gold Service cabins. * Arrives 1 hour earlier during daylight savings time. All times are local times and may be subject to change without notice. Optional Upgrade Uluru Fixed Wing Scenic Flight Tour - additional charges apply. Please ask your consultant for a price. 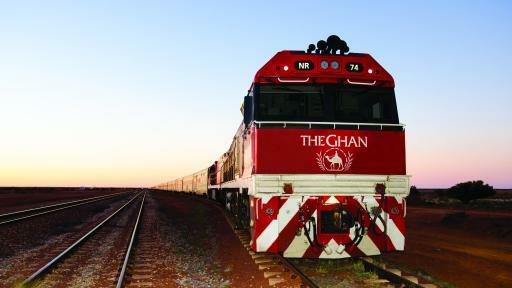 Note: The Ghan will not operate December 2019 - January 2020. 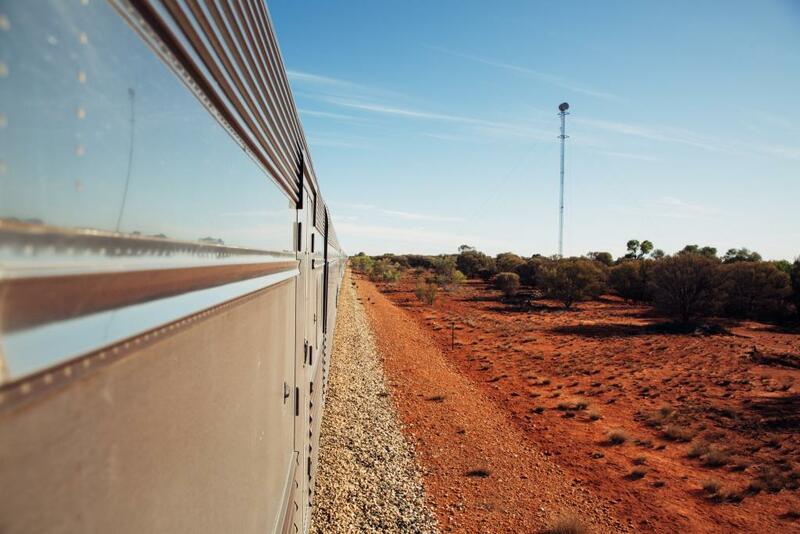 Additional journey departures will operate June-August 2019 (Adelaide to Darwin departing Wednesdays and Darwin to Adelaide (The Ghan Expedition) departing Saturdays). All times are subject to change. 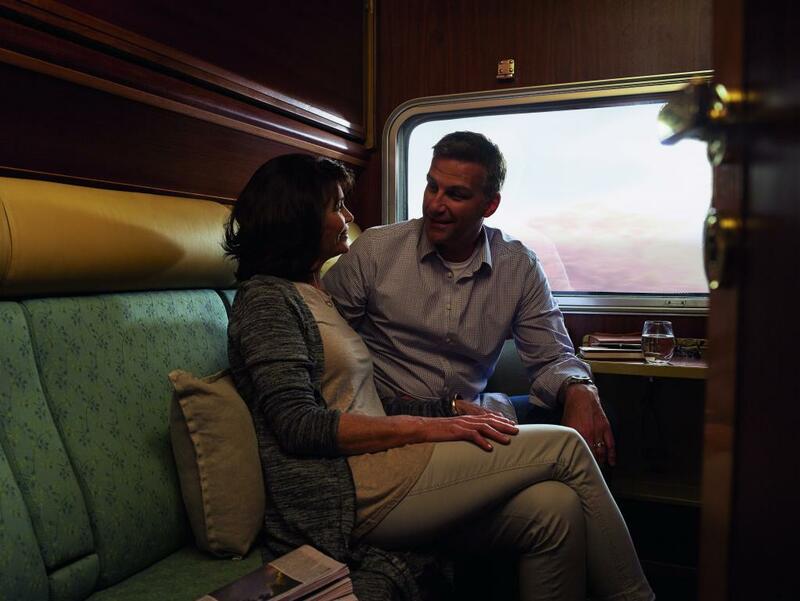 Complimentary coach transfers are included from selected Darwin City Hotels to Darwin Rail Terminal, for Gold Service guests departing Darwin only. 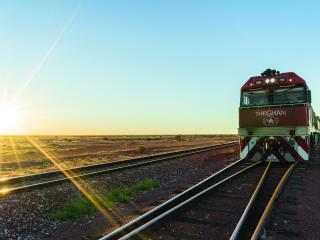 Off Train Excursion - Enjoy extended touring options at key destinations along the rail route. 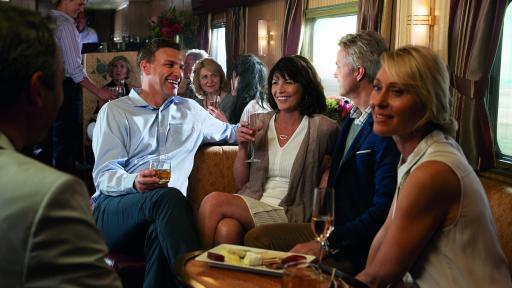 Guests will have the opportunity to choose only one option out of the multiple Off-Train Excursions listed. 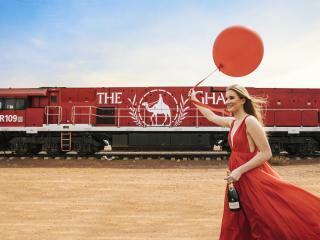 The hospitality staff onboard The Ghan will assist with booking your preferred tour option. 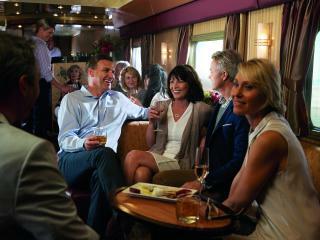 Off Train Excursions are subject to change without notice and limited numbers may apply for the tour to operate. All arrangements are subject to cancellation or modification due to inclement weather, late running of train or other unforseen circumstances. Refunds will not be given for cancelled or modified excursions. See below for more information. 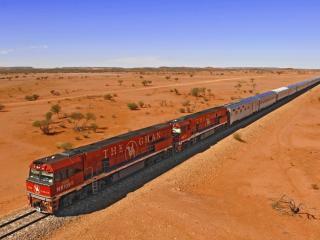 Outback Experience - Step off the train to immerse yourself in some of Australia's most remote Outback settings. 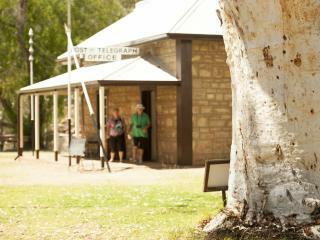 Choose from Alice Springs Desert Park or Alice Explorer or Simpson Gap Discovery Walk. 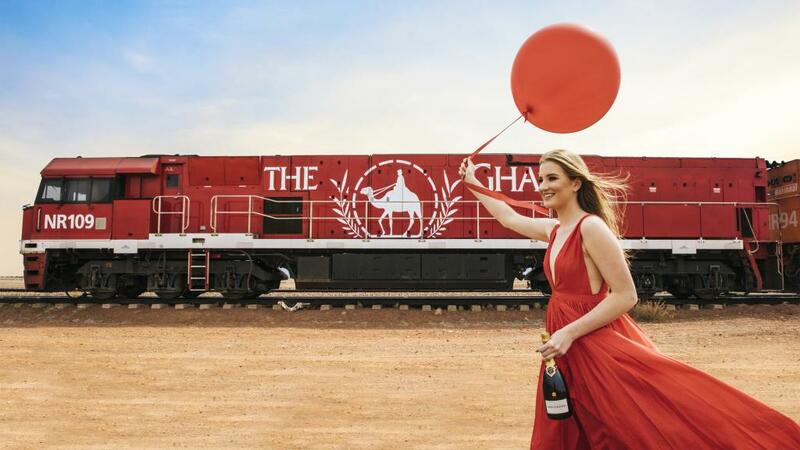 Note: for guests departing The Ghan in Alice Springs and additional costs may apply for some Alice Springs off train excursions. As per Adelaide to Darwin in reverse. 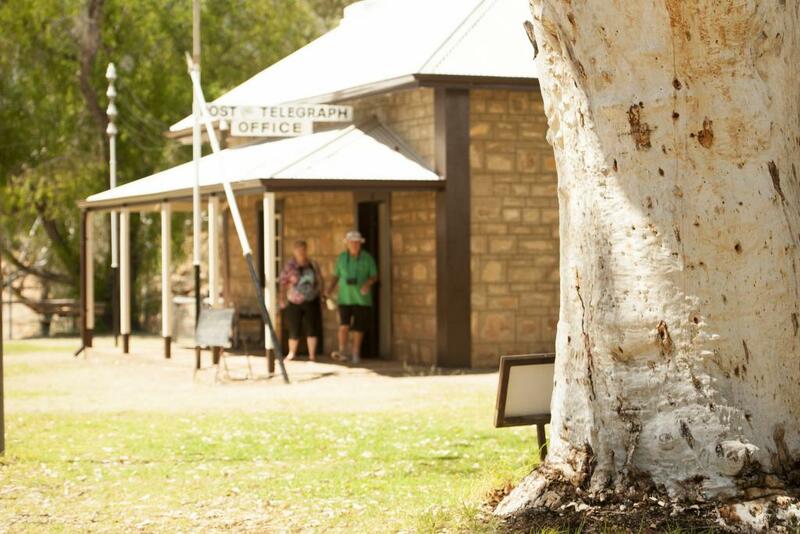 Choose from Alice Springs Desert Park or Alice Explorer or Simpson Gap Discovery Walk or Alice to Off Road. 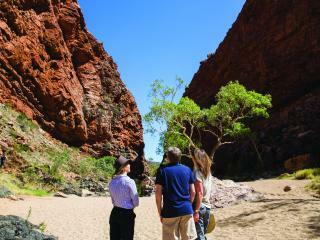 All of these excursions also include an Outback BBQ Dinner. Optional Upgrade Uluru Fixed Wing Scenic Flight Tour - additional charges apply. 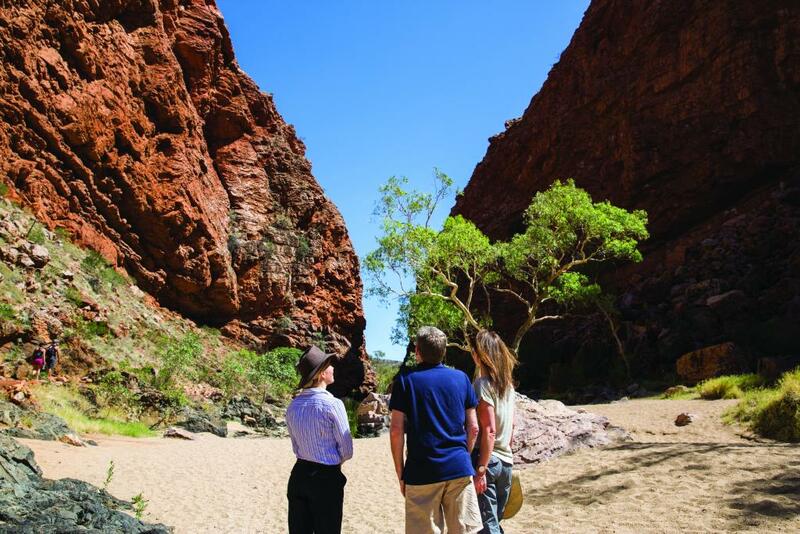 Upgrade your excursion with the ultimate outback experience; an intimate scenic fixed wing flight over Uluru and Kata Tjuta.There really is no better way to comprehend the vastness of the Northern Territory.Please ask your consultant for a price. Conditions: Travel Online will only book the above journeys for full paying adults and children. 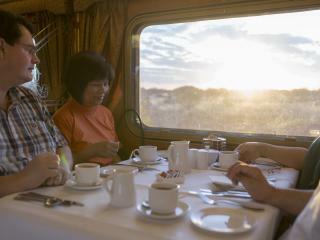 Discounted pensioner or sector fares are not available. Motor Vehicles: Travel Online does not provide quotes for vehicle transport. 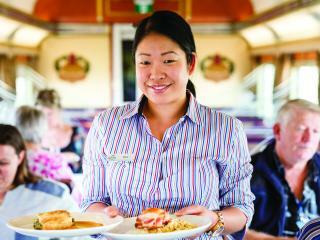 Passengers taking a vehicle will need to contact Great Southern Railway directly for fares and availability. Payment: Advance Purchase Fares - Full payment is required at time of confirmation. 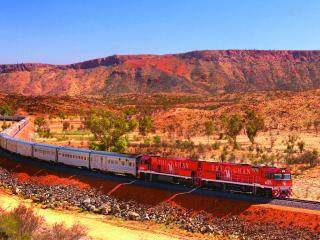 Everyday Saver and Standard Fares a $250 per person per sector deposit is required at time of confirmation (i.e. 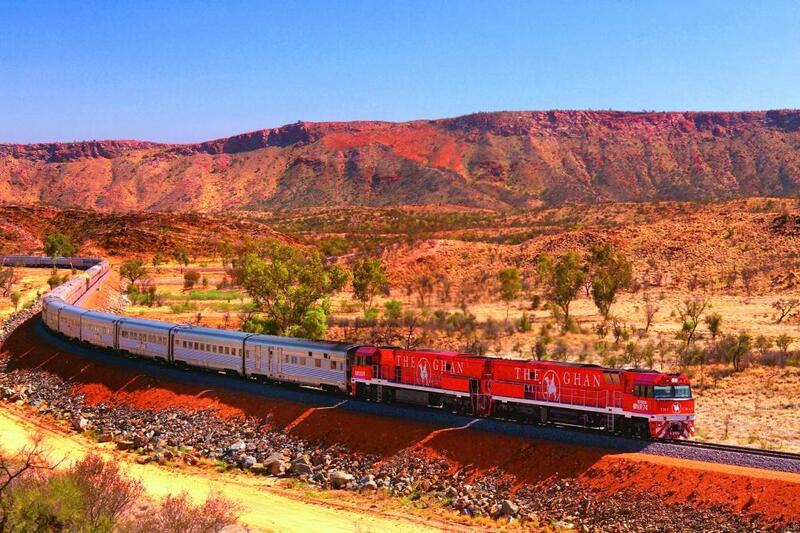 Adelaide to Alice Springs = 1 sector / Alice Springs to Darwin = 1 sector). Final payment is required 60 days prior to travel. Strict cancellation / amendment policy applies to all fares.